GopherCentral Library: Is a Cat in the Drawer a Good Omen? Theres some snow headed this way and i must be prepared to keep me and mine warm and safe and safe and warm. I'm not gonna let the snow get me. I got on eight kinds of thermal underwears and a scarf, and a hat. Oh, and I got on pants and shirts and all that. That's all I need, well, all that and a shovel, some gloves, some rock salt, a plow, mittens, boots, booties, leggins... I could go on and on but my runnin out of words i know. Question... how do they keep the snow from meltin in them snow globes? Is it magic? Stay warm and safe, y'all! 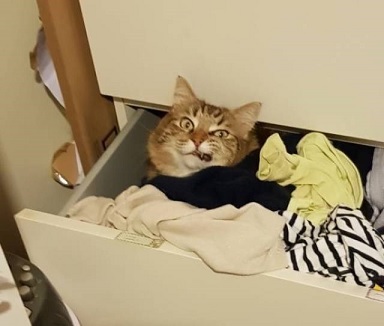 Close the drawer, will ya? Some prefer Serta but I prefer Victoria's Secret. You cheated. You didn't count to 10 first! 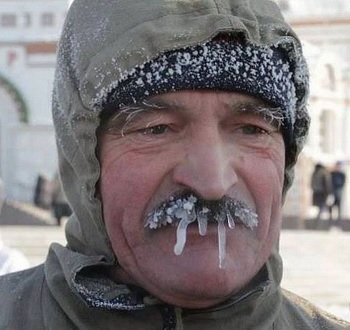 I told you not to wake me until Spring. Geez Louise, can't I get any privacy around here? Go away kid, 'ya bother me.